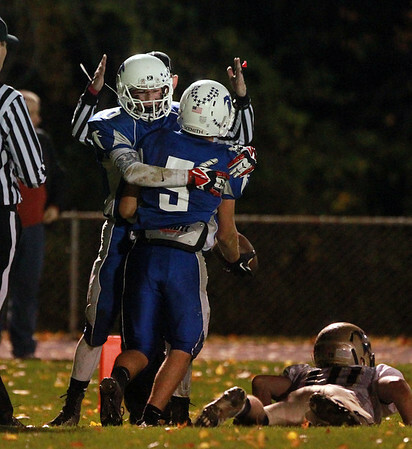 Danvers senior Cris Valles (5) is greeted by sophomore teammate Matt Andreas (10) after a successful two-point conversion on Friday evening. DAVID LE/Staff photo. 10/24/14.